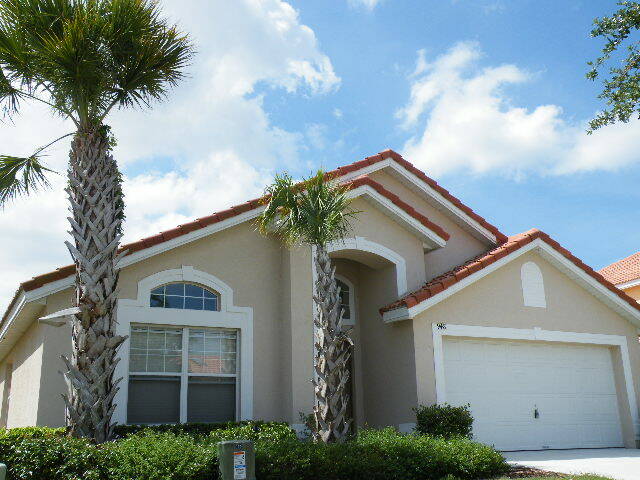 Beautiful red tile roof Villa in breathtaking, highly maintained Solana community. Worry free for hurricane. 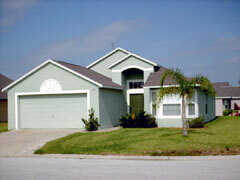 Professional decorated 5 bedroom, 3 bathroom villa with pool, spa and Child safe fence. Upgraded top line Sealy Posturepedic King Mattress. 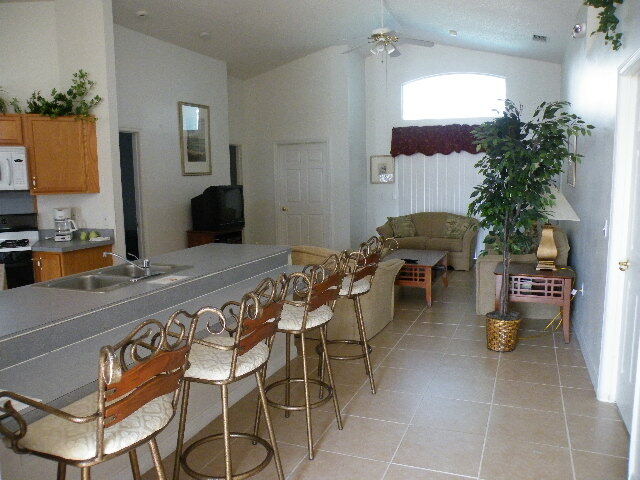 Sleeps 12 and ideal for multiple family vacation (12 using queen sofa bed in living room). 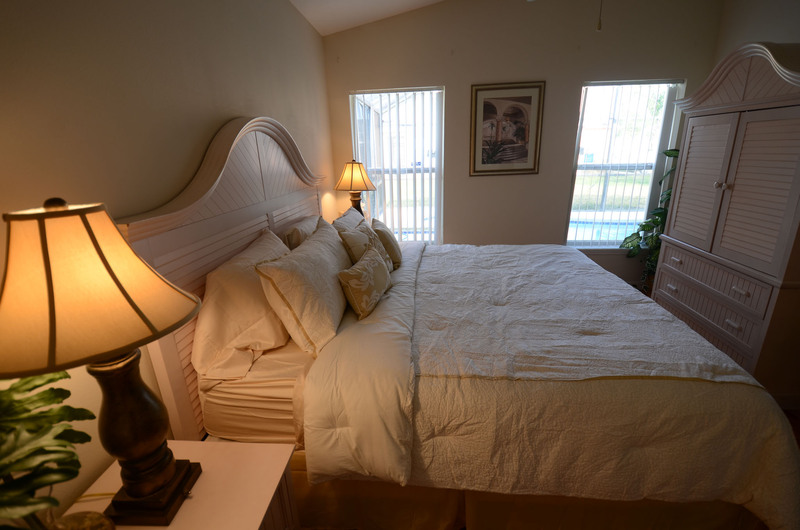 Double master bedrooms (One with King bed & one with Queen bed) and both have en-suites and TVs. Additionally we have a queen bedroom and two twin bedrooms. Spacious living room with cable TV, DVD. Plus every bedroom has a cable TV. Second living room gives extra sitting/relaxing area. Free wireless high speed Internet. Large dining area, and a fully fitted kitchen with breakfast table set. Baby friendly, equiped with high chair and Crib. Close to Champian Gate Golf Course and Reunion Golf Course. 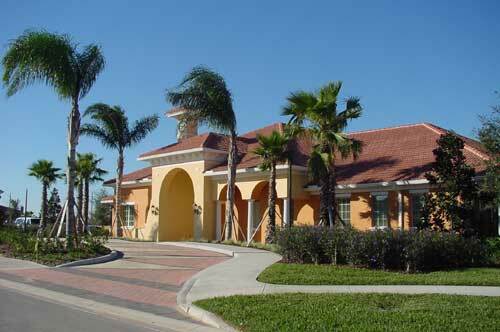 Close to Shopping center, resturants and convenient stores. This brand new villa is a 5 bedroom, 3 bathroom property with pool and spa. It lies just 10 minutes from Disney. 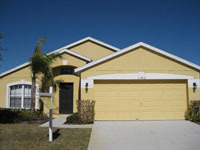 The property sleeps 12 and is ideal for multiple family vacation (12 using queen sofa bed in living room). 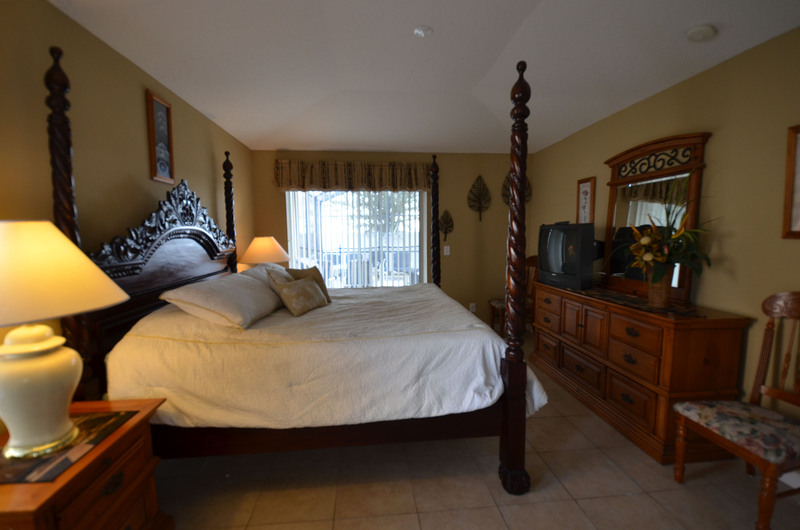 It has two master bedrooms (One with King bed & one with Queen bed) and both have en-suites and TVs. 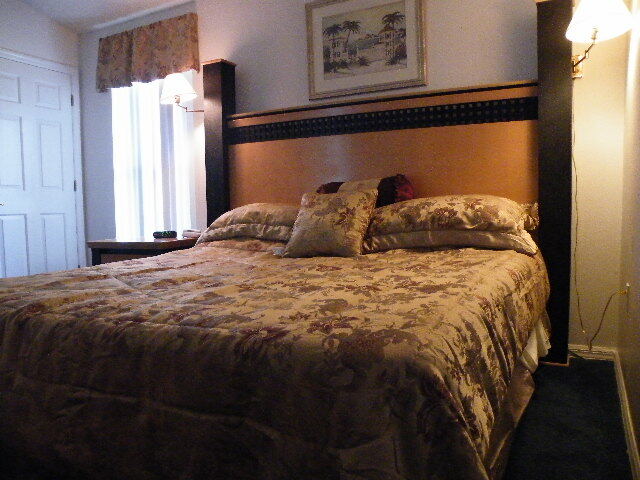 Additionally, we have two queen bedrooms and one twin bedroom. 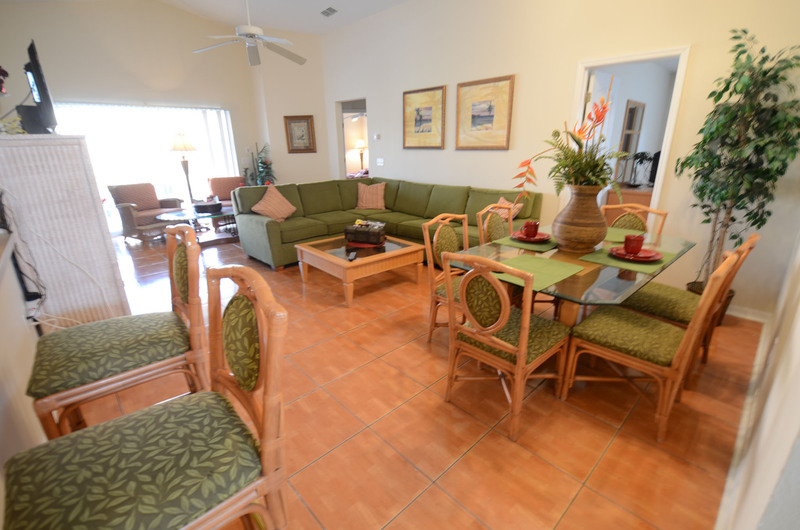 It has a spacious living room with cable TV, DVD, high speed wireless Internet ( wireless B, G and N), a large dining area, and a fully fitted kitchen with breakfast table set. Outside the house is a screened pool/spa and extended decking area with child safety fence. We have carefully furnished our villa to a very high standard and designed it specifically to ensure we have provided everything you need for a wonderful holiday. 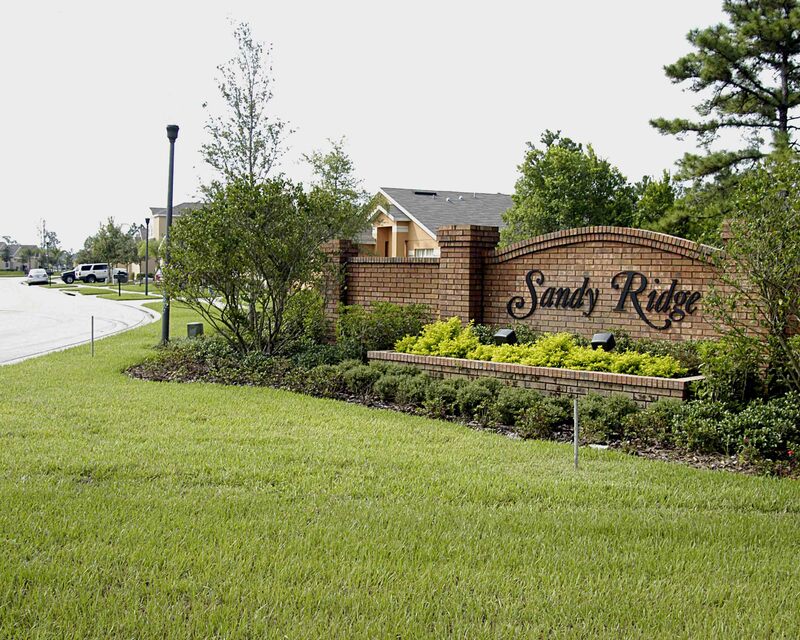 The Sandy Ridge is a new community which has been developed with vacationers in mind. It is next to Reunion Golf Course, and 2 miles from Champian Gate Golf Course. 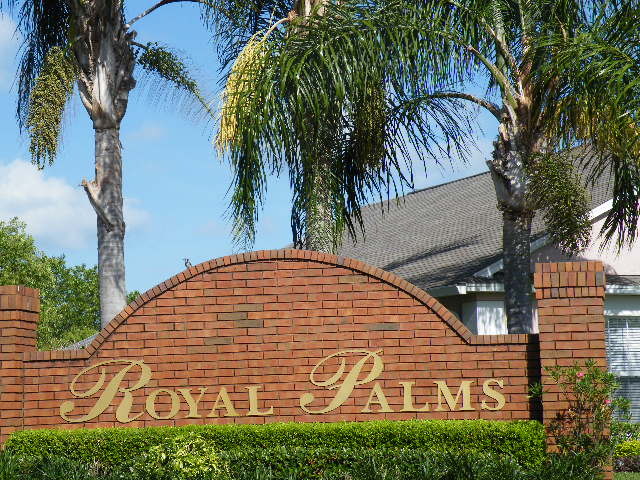 It is ideally located for Disney World visiting and yet still provides space and relaxation thanks to the conservation areas that surround the community. 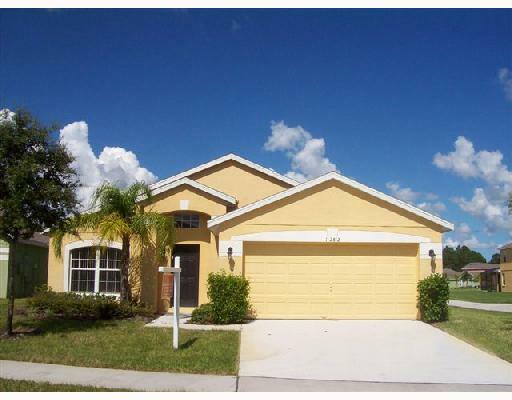 Gorgeous 5 bedroom, 3 bathroom property with pool and spa. Just 12 minutes away from Disney. Additionally we have One Queen bedroom and Two twin bedrooms. Spacious living room with cable TV, DVD. Free high speed wireless Internet.